Thank you for visiting our website. 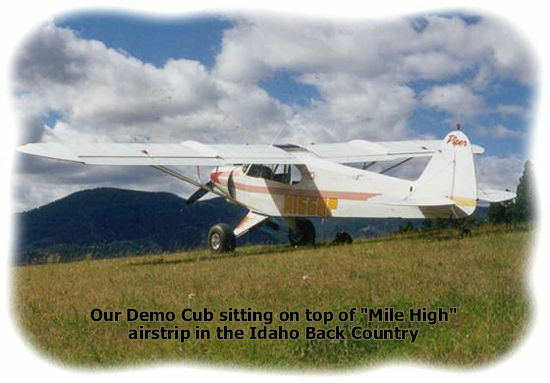 We are a small business dedicated to providing innovative solutions and improvements to the General Aviation Industry. Because of our independent nature, we strive to bring you the best propeller models the world has to offer regardless of the manufacturer. We simply identify aircraft that are struggling with old technology, and find what we believe will be the best enhancement available. As with nearly everything else, there has been many great improvements in propeller technology over the last thirty years, but most aircraft have been unable to take advantage of these benefits due to the lengthy certification process. However, we are making significant progress, and have recently received STC approval for the installation of “Scimitar” MT-Propellers on the Cessna 310, “Scimitar” Hartzell propellers on the entire PA-32 line, and Hartzell, or “Scimitar” MT-Propellers on the PA-18, and PA-12. In addition, we also hold the STC for the installation of our new high performance exhaust system on Piper Super Cubs, and PA-12’s with engines ranging from 150 to 180 horsepower. What a difference!!! Please click on the associated links to the left to find out more information, or for parts ordering. We appreciate your business and look forward to serving you.